The latest app has been made to mimic the features to videos which the photo app gave to pictures. 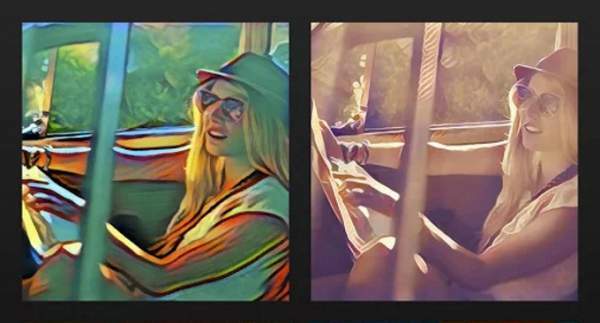 With the success of Prisma app, other group released it to play around videos. Before its release, the Prisma officials had announced that they were working on a video filter feature. But, it’s their bad luck as the application of a similar kind has already been launched. Artisto for Android and iOS is available in the play stores. It works similarly by applying filters to videos just like Prisma works with pictures. It is as simple as its photo counterpart. Also, it uses the machine-vision based algorithms. The best feature of Artisto is its speed. It applies filters to a high speed and finalizes the video in a tiny amount of time. On the other hand, some users have criticized the Prisma for taking a long time to process the pictures and giving it back to the users. But, the video application works in a small amount of time. The Artisto app is used with the videos which are already present in the gallery or which have been shot using the application. The disadvantage is that it applies filters on only a 10-second frame and not longer. Just select the 10-second frame and the rest of the work is done by the app for you. However, the application has received complaints on the Google play store. The users are complaining that the video filters are applied only to the videos shot through the app and not the existing ones. It is unfortunate, but the app is not available in all regions of the world for downloading yet. For example, the listing is not there for the Indian users as of now. The application has country restrictions for now. With time, it will be rolled out all across the globe. However, the iOS users can use the application via the App Store. Thus, it becomes interesting to anticipate and wait to find how the video filter mode of Prisma fares when it is released. It will be interesting to see the battle of Artisto vs Prisma soon.